“I love maps!” is a common response when I tell people I teach geography and geospatial technologies. When most of us think of K–12 geography, we probably think of memorizing capitals and rivers, coloring and labeling climate maps, and taking map quizzes. It may surprise you to know that my students use GIS to create digitized spatial layers, x,y data based on coordinate systems, and make dynamic maps to analyze and answer complex questions. This isn’t just happening in GIS classes. My students in humanities classes regularly plot and analyze data, compare differences between data layers, and learn the basics of GIScience. My personal shift to using GIS in my social studies classrooms began in 2005 when I joined Project GRASP (Geospatial Related Activities for Student Progress), a professional development course at James Madison University (JMU) in Harrisonburg, Virginia. In that class, I was exposed for the first time to the power of GIS and all its possibilities for teachers and students. Though I was jazzed about the technology’s potential, afterward I found myself essentially on an instructional island when it came to finding colleagues ready to take the GIS plunge. Back then, GIS was a hard sell to teachers. The software was cumbersome, difficult to install, and had a steep learning curve. Lesson plans and datasets were limited. Today, the practicality of using GIS in the classroom is at an all-time high, as a result of the work done by JMU, the Virginia Geographic Alliance, and Esri. Under the direction of Dr. Bob Kolvoord, dean of the College of Integrated Science and Engineering, JMU held national summits on geospatial technologies in K–12 education from 2008 to 2011. At these events, teachers and education and industry leaders met to identify the resources needed to make serious inroads into Virginia’s classrooms. 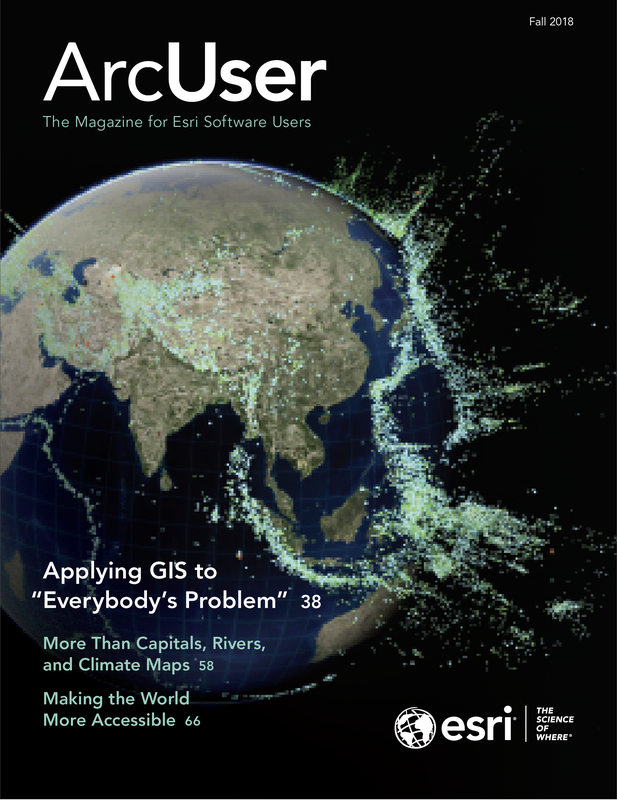 At the same time, Esri made GIS software more accessible to schools. Today, the company provides free cloud-based and desktop GIS technologies to any school in the US. As a result, Virginia has become a leader in classroom GIS use. As part of its outreach to Virginia’s high schools, JMU launched a program called Geospatial Semester (GSS) in 2005. It offers high school juniors and seniors a culminating experience steeped in authentic engagement, workforce preparedness, and problem-based learning. Students from 25 high schools participate in the program and earn dual-enrollment credit. While learning about a cutting-edge technology, they gain valuable workplace skills. These students are also taught spatial thinking skills that are key to STEM careers and not taught elsewhere in the high school curriculum. They study how GIS is applied in fields such as emergency management, environmental science, public policy, and community and business analytics. “An Analysis of the Change in the Amount of Ground-Level Ozone for the Metropolitan Region from 2013–2016”—Washington Lee High School, Arlington. “Proposal for Realignment and Placement of Heavy Rescues in Loudoun County, Virginia”—Briar Woods High School, Ashburn. “Setting Up a Volleyball Defense”—Shenandoah Valley Governor’s School, Fishersville. “An Interactive Guide to Nelson County Hiking Trails”–Nelson County High School, Lovingston. 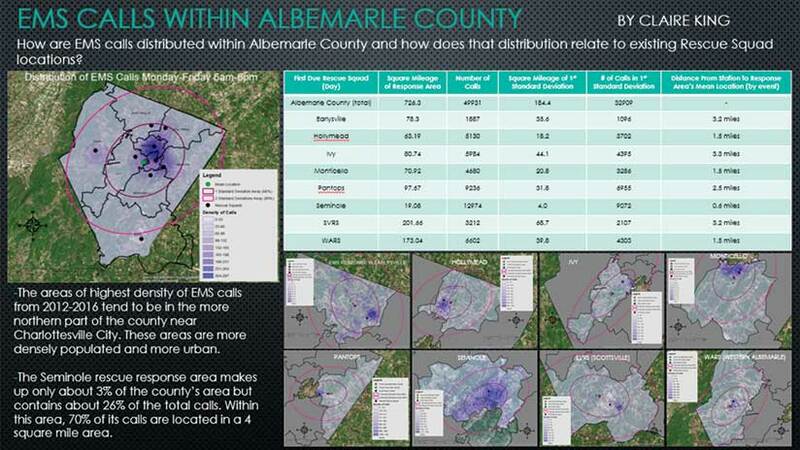 “An Analysis of EMS Calls within Albemarle County”—Albemarle High School, Charlottesville. “Refugee Camp Site Selection in Jordan”—South Lakes High School, Reston. “Rerouting the Iditarod”—Dominion High School, Sterling. She’s not alone. Many students have parlayed GSS into summer internships and gained work experience, according to Kolvoord, who helps supervise the GSS program. 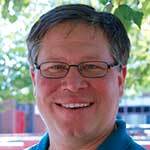 “It’s also introduced geography as a potential area of study for many students. In fact, JMU geography enrollments are at an all-time high, in part due to a steady flow of students from the GSS,” said Kolvoord. The iSTEM Teacher Scholars program, founded in 2014, focuses on workforce preparedness and GIS as an interdisciplinary bridge. Not designed as a hypothetical exercise, the program helps classroom teachers develop practical and transferable approaches to GIS classroom use. GIS offers a way to meet the difficult challenge of incorporating STEM skills and strategies into the humanities. In most academic situations, core science and social science subjects are taught in isolation, which limits opportunities for teachers and students to engage in integrated STEM learning. 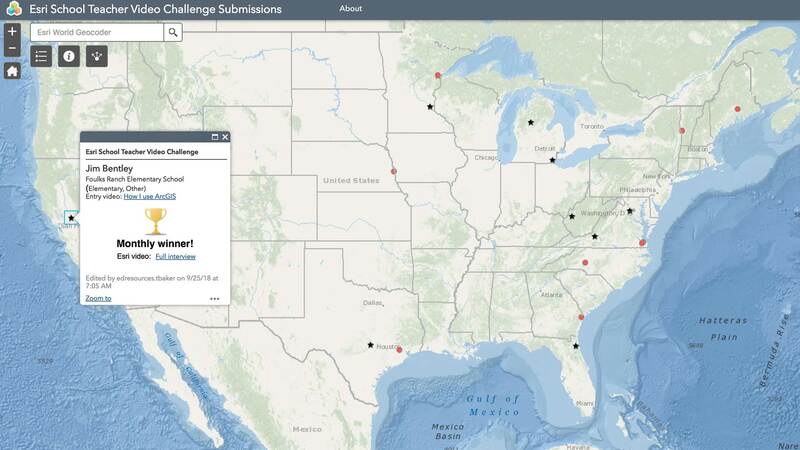 GIS can be a way to combat a general lack of interest in STEM fields among students if we can develop ways to inspire and extend these skills, tools, and concepts beyond the silos of science, technology, engineering, and mathematics. he #YouCanMapThat! curriculum has been used to train more than 250 teachers how to use GIS and iSTEM GIS activities in their classrooms. It is available in iBook format and is free to the public. #YouCanMapThat! is funded through partnerships with Esri; the Virginia Geographic Alliance; Battelle, a nonprofit applied science and technology development company; The National Council on Social Studies; and an Eastern Regional grant from the Teaching with Primary Sources program of the US Library of Congress. 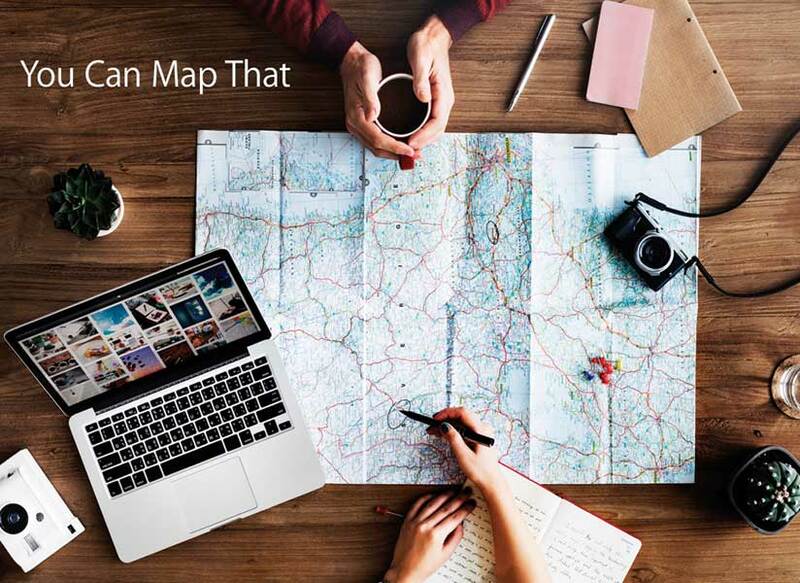 The #YouCanMapThat! curriculum has been used to train more than 250 teachers how to use GIS and iSTEM GIS activities in their classrooms. It has also created an online professional learning community so that once teachers have completed their training, they aren’t isolated and suffering from limited support. This article first appeared in the October 2018 issue of the Virginia Journal of Education and is used with permission. Chris Bunin is a member of the Albemarle Education Association who teaches advanced placement human geography, world history, and geospatial technologies at Albermarle High School. He is also an assistant professor of geography at Piedmont Virginia Community College and serves as the Geospatial Technologies chairperson for the Virginia Geographic Alliance. He was named the 2016 Secondary Social Studies Teacher of the Year by the National Council for the Social Studies and received the 2017 Brunn Creativity Award for the Outstanding Teaching of Geography from the National Council for Geographic Education. You can follow him on Twitter at @ahsgeo.